Festool fans missed the MFT Fixing Set so much, they just had to bring it back. An ideal supplement to MFT 3 and MW 1000 Mobile Workshop, the new and improved SYS-MFT-FX Set consists of various stops, clamps and clamping elements, all designed to make your life easier. 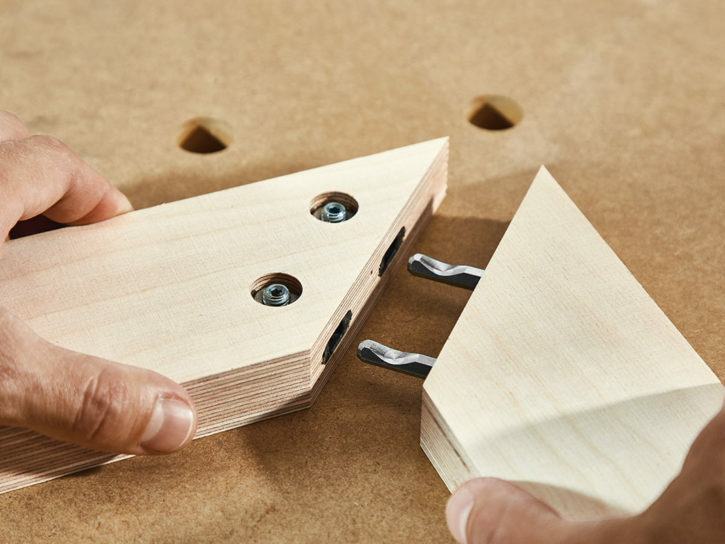 It’s perfect for quick and flexible clamping and securing of workpieces with a wide variety of thicknesses and shapes making it suitable for all sanding, planing, drilling and gluing tasks. The Festool MFT Fixing Set is back by popular demand. Available for a short time only, but irreplaceable in the long term, take a look at what’s new and improved in the latest release and how this will benefit you, the end user. Firstly, the biggest benefit of the new MFT Fixing Set is that is delivers simple clamping and securing of workpieces. 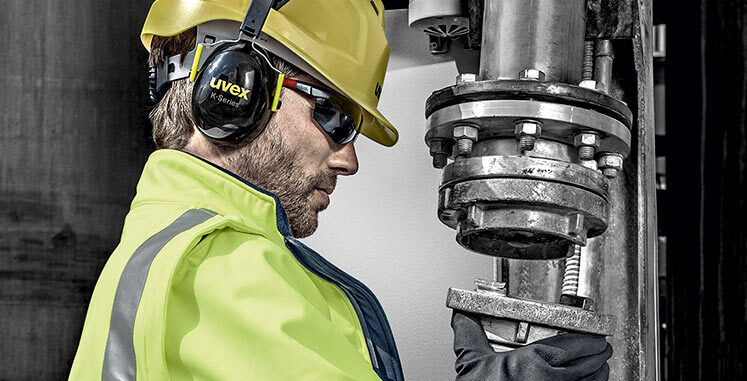 Each and every accessory in the SYS-MFT-FX Set saves time and hassle whatever task you are undertaking. Secondly, it also provides complete flexibility when clamping and securing workpieces meaning you can take advantage of a wider range of possible applications. 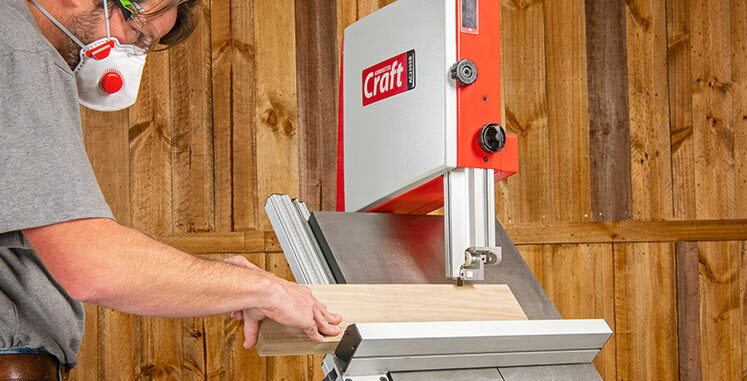 Using this set enables you to process all workpieces in the best possible way. Complementing the existing lever clamps and fixed clamps beautifully, the new MFT Fixing Set now includes two new stops. Two steel lever clamps are ideal for clamping workpieces horizontally using the holes in the MFT top or vertically using T-slot in the MFT profile. The two MFT-SP fixed clamps are great for clamping all workpieces, including round ones. Also in the box, you will find four small stops and four locking knobs. Placed in the MFT holes they will provide a firm hold on an extremely wide variety of workpiece shapes. The MFT Fixing Set is a fantastic addition to the system of your MFT multi-function table and the NEW Mobile Workshop. 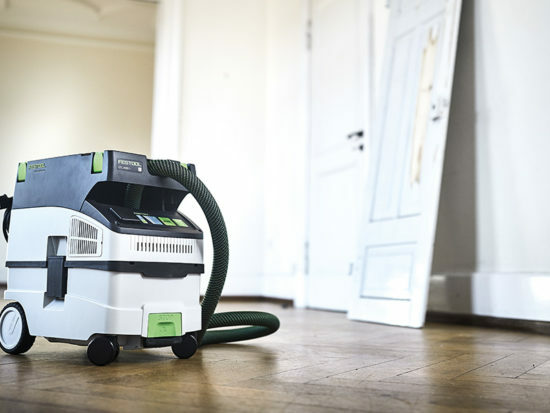 For convenience, the SYS-MFT-FX Set is compatible with all MFT models as well as the Festool Systainer system. Finally, the clamping accessories within this Systainer box will add even more versatility to an already versatile worktop. The different elements give you a wide variety of options to clamp or secure workpieces onto your MFT table. They all pack neatly into the Systainer box for storage or transport. 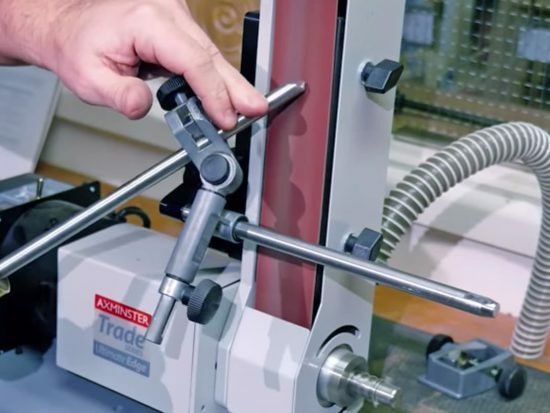 Very handy accessories; these clamping elements allow you to secure both round and flat workpieces quickly, easily and most importantly, securely. Great whether you are sanding, routing or drilling. 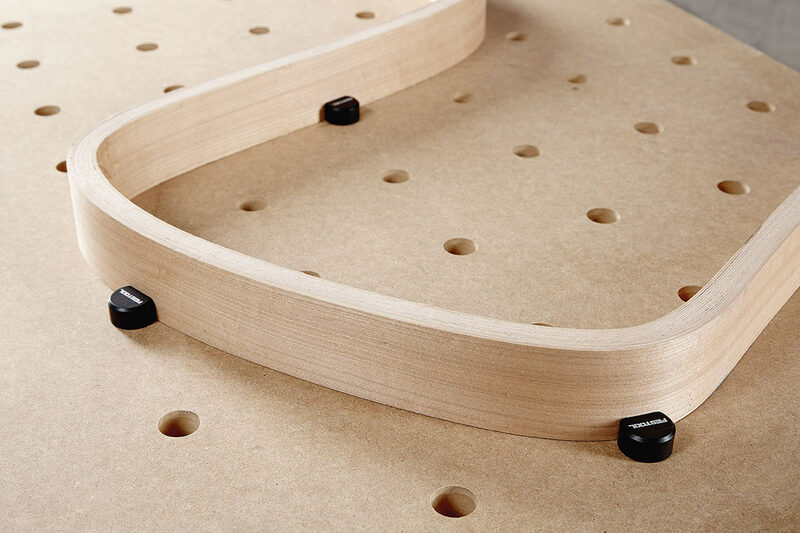 The solid steel clamps can be fastened in the holes of a perforated board. 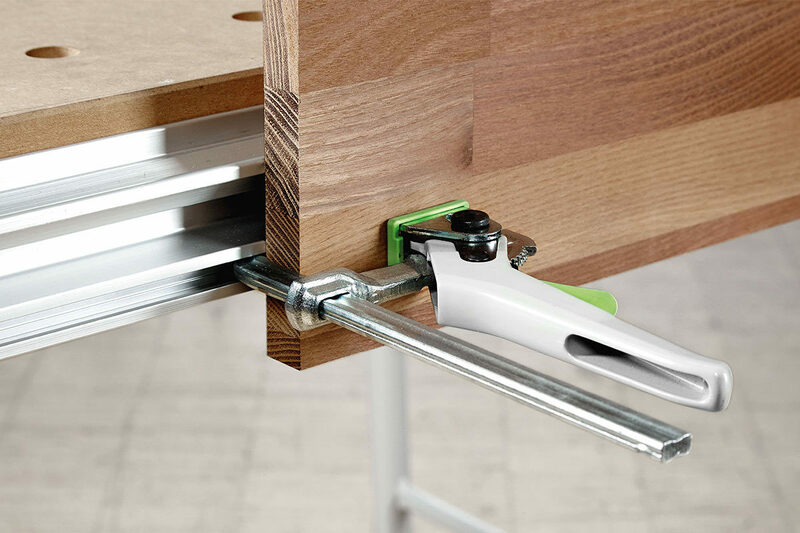 Being incredibly robust, the lever clamps can also be inserted into the circumferential V-groove of the table profile. This makes them ideal for clamping workpieces in a vertical position. Next, if you need a secure stop, especially for particularly thin sheet material, these low-profile clamps tick all of the boxes. Moreover, they also enable the entire surface to be processed optimally right up to the edge. The knob shaped small stops enable you to perfectly clamp individually shaped workpieces. 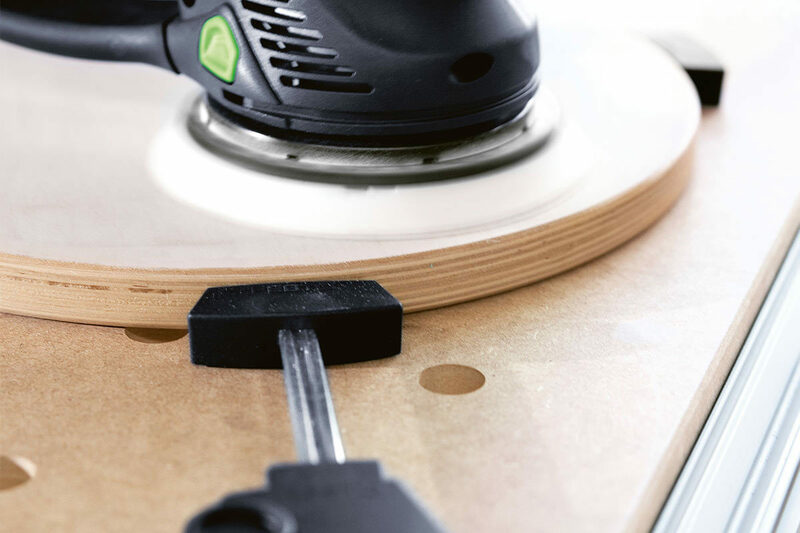 Produce precise, pristine and steady cuts with Festool’s ISC240Li 5.2 EBI SET FS Insulation Saw 18V (5.2Ah). 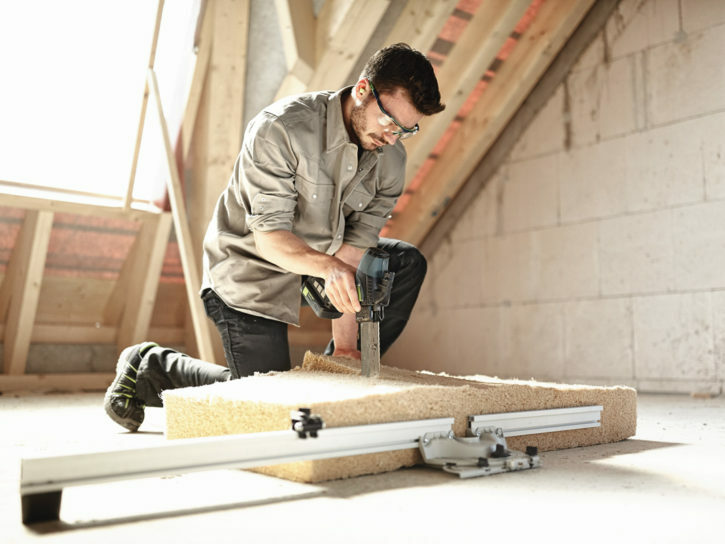 Lightweight and ergonomic, combined with high speed cutting and the FastFix feature for cutting set changes, the saw cuts insulation material efficiently with minimal effort. 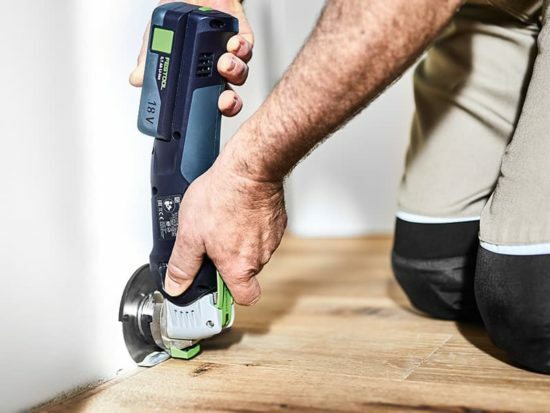 Alternatively, produce highly accurate and strong cabinets and joinery items simply and quickly with the Festool DOMINO DF 500 connector set. The new basic structure and furniture connectors are extremely versatile and provide for a very large range of applications. Ideal for use in the workshop, at home or on site achieve first class results more quickly than ever before with this new connector set. 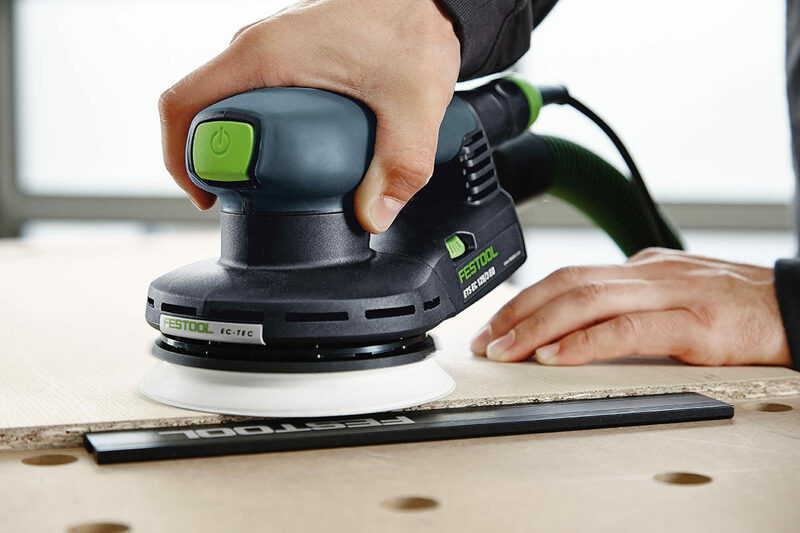 If you’ve bought Festool’s SYS-MFT-FX Set, we’d love to hear from you. Comment below or send us a photograph and tell us all about your new purchase. What do you love about the MFT Fixing Set, and why? Alternatively, get in touch via our social media platforms. Find us on Facebook or send us a tweet using #festoolmft to @AxminsterTools.